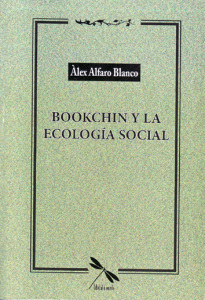 The publication brings us Social Ecology, from the hand of the US thinker, Murray Bookchin. Given the many challenges of today’s society, this book is not merely a denunciation of what is, but seeks to encourage reflection and constructive debate, criticism and self-criticism. We are aware that solutions will be the fruit of the collective work of all who long for positive change, a new, more humane and freer world. This book and several related projects are described (with some English translation) at www.libelulaverde.org. The book will be presented on the evening of Saturday, March 15th (18.30) at l’Ateneu Llibertari de Sants. c/Maria Victòria, 10 Baixos. <M> Plaça de Sants. Previous PostPrevious Peter Staudenmaier: What is Capitalism?